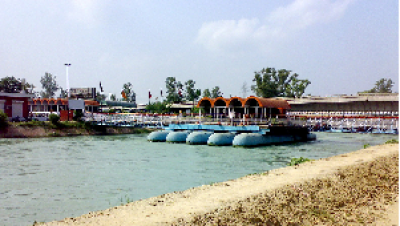 Floating Restaurant constructed over the Sirhind Canal is an important tourist spot run by ThePunjab Tourism Development Corporation. It is at a distance of 5 KM. from Sirhind on the Sher Shah Suri Marg (GT Road). It attracts a large number of tourists, especially during summer. 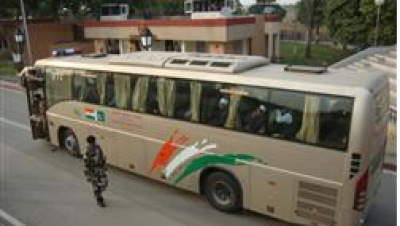 There is also a provision for overnight stay. It has eight (8) suites. It is a unique type of Restaurant in whole of the Punjab. Built in the middle of the canal, it presents a picturesque view to the visitors. 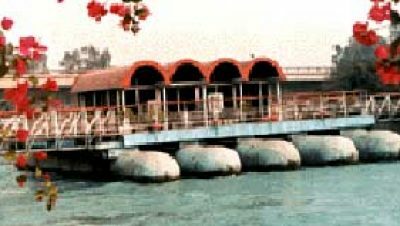 The Channel on which the floating restaurant is built supplies water to the states of Haryana and Rajasthan. This channel always carries 8000 cusecs of water and the giant vessels on which this restaurant rests are made in such a way that they can withstand this pressure. In the peak season, the water reaches 10,000 cusecs but that raises the water level by 6to 8 inches only and thus the structure does not come under any undue pressure.